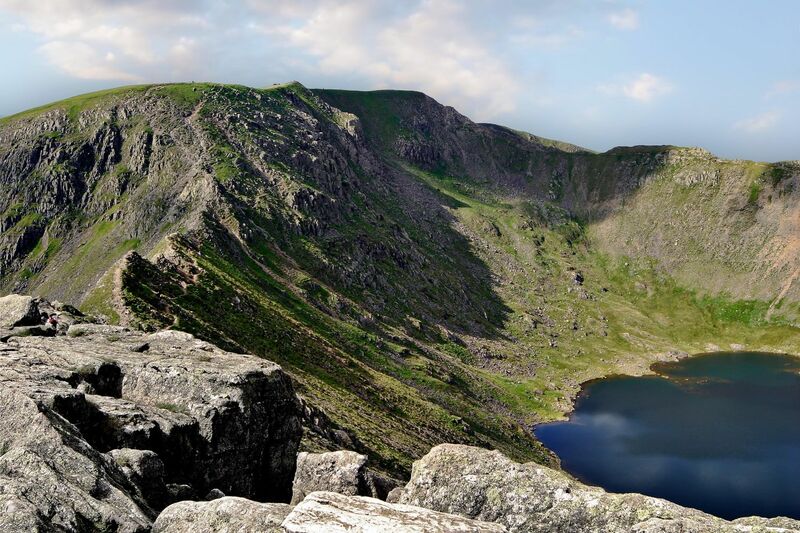 This is an image of Red Tarn and Striding Edge Helvellyn. Striding Edge is an arrete between Nethermost Cove to the south and Red Tarn to the north. In places, there are significant drops on either side. You can either stay on the top of the ridge or, if you feel uncomfortable, drop down to a lower path and keep within your limits. The only tricky section is the bad step - a clamber down ten or fifteen feet with good hand holds.